I’ll be honest: It took me a while to really feel comfortable about calling the Thorns and Reign rivals. I know, I know – Portland and Seattle! Of course they are rivals! True rivalries, though, can’t be created; they need to be to be cultivated over time. And while that process can certainly be expedited, the National Women’s Soccer League is only now concluding its sixth season. That inaugural season, in 2013, was the groundwork for the contempt between these two teams today, but at the time, those matchups felt like most other NWSL games. No doubt, the Thorns sweeping all four games in the first season had something to do with that. It took until the arrival of Kim Little, and an unbeaten Seattle team going down to Providence Park in 2015 to knock off an unbeaten Portland team, to get the first true taste of this rivalry. It brewed with some light trash-talking on social media. Portland’s chief rival in those first two seasons, if there was a team that fit that term, was FC Kansas City. There weren’t any geographical ties to that, and thus no deep connection between cities or clubs. 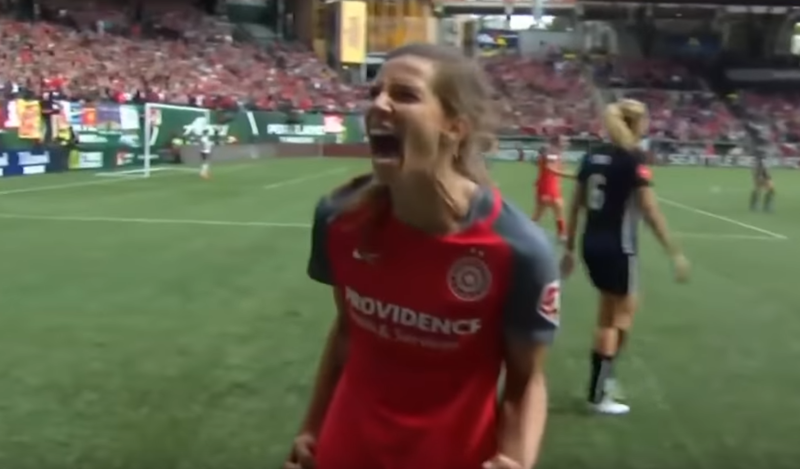 The teams met in the league’s first-ever game, played an epic 4-3 match midseason, and then played in a chippy 2013 semifinal that went to extra time, the Thorns winning that on their way to the league’s first championship crown. 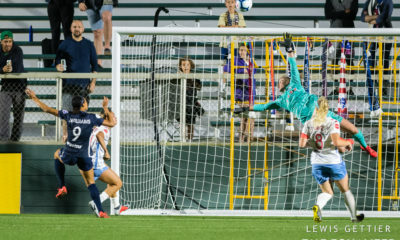 In 2014, FC Kansas City lost in Portland by a puzzling 7-1 scoreline, but beat the Thorns in Kansas City in the semifinals en route to the first of two straight championships. It was, like most sports rivalries, a cyclical one – a tête-à-tête based primarily on roster talent and chance playoff meetings. Portland-Seattle, meanwhile, needed time – and it needed time because it had the potential to actually be a true rivalry, one that could stand the test of time and span multiple roster cycles. It brewed simultaneously in 2014, and began to take off in the following years. That’s certainly how it felt from outside the Pacific Northwest, anyway. Now, it feels like that sustainability is truly there. 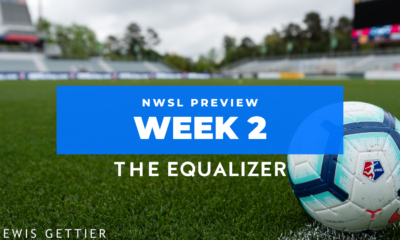 It has been there, but Saturday’s semifinal was everything the match-up needed, and everything the NWSL could have wanted. It was an exceptional level of soccer, with an obvious amount of respectful contempt from the opening minutes, set by a backdrop that continues to amaze. This, as game-winning goal-scorer and all-around monster Lindsey Horan said, is something special. This was the kind of game the league needs – the kind of game this rivalry needs. 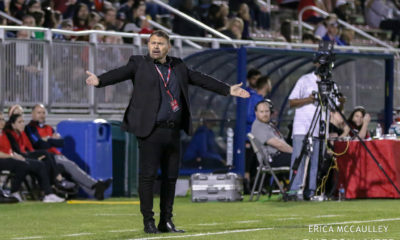 Referee Ramy Touchan never let it get too out of hand; for as much as NWSL officials have been rightfully criticized, Touchan handled just about everything correctly to not influence the game (the offside call on which canceled out Tobin Heath’s second-half finish was made by the assistant referee, and it was also tighter than it looked, since Horan got a touch). 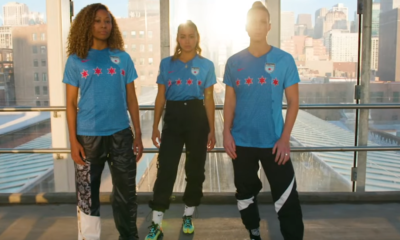 The NWSL still doesn’t have a lot of signature moments, and that’s to be expected for a young league. It has had plenty of missteps – and yes, it should be acknowledged that Portland, in particular, is unique and difficult to replicate in in-market success. But Saturday’s comeback Thorns victory was the type of game we won’t soon forget, one which shapes and fuels a true rivalry. Saturday brought the rivalry to a new level, one that felt completely natural.